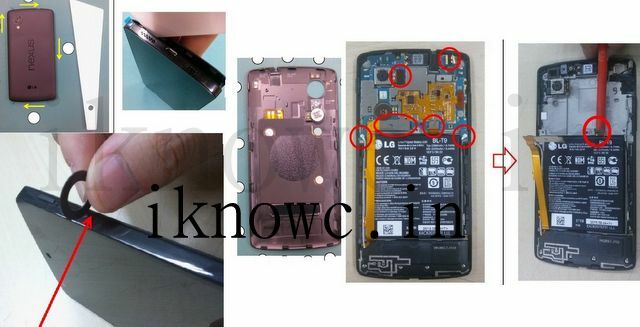 There is nothing to imagine or predict about upcoming LG D821 / Google Nexus 5 because we know each and everything (specs) about the smartphone. 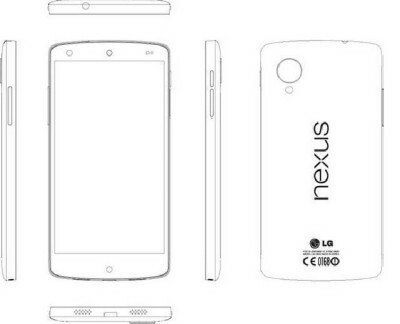 A service Manual of DE21 was recently leaked which reveals the full specifications of upcoming Nexus 5. The Nexus5 has 4.95 inch IPS display with Full HD 1080p resolution. The device has 3G, 4G, CDMA, EDGE, NFC, Bluetooth, GPS, WiFi and 5 pin micro USB. It comes with 2300mAh battery that claims 350 hours of standby time and 530 minutes of talktime on 3G network. The device is 9.1 mm thixk and weighs 139 grams. It packs with 8-megapixel Autofocus camera with flash and 1.3MP front facing camera. It is powered by 2.3GHz Snapdragon 800 processor with Adren0 330 GPU and 2GB of RAM. It also has 16GB + 16GB of internal memory and runs on Android 4.4 Kit-kat. The release date / launch date of the device is unknown yet and so is the price. In mean time check out leaks of Nokia Smartwatch, Lumia 1520, Samsung Curved display smart phone and LG G Flex. Nexus 5 or LG D21 will be the first smartphone to Android 4.4 Jelly bean OS.